Dúplex Restaurant. Girona (Zona Devesa). Lunch, Dinner, Group Dinner, Bachelor Party Dinner, Business. 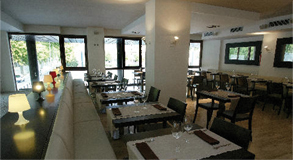 Located next to the iconic Parc de la Devesa of Girona and with a great views towards the Cathedral and the Old Town we can find Duplex Restaurant. Two large dining rooms for 80 and 40 people, making it ideal for lunch or dinner group, business dinners or any other meal. We are specialized in bachelor party dinner, contact us! Outside there is a large terrace where you breathe in the tranquility of La Devesa where you can enjoy a pleasant stay. 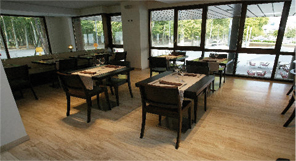 Perfect for before or after a concert in the Auditorium of Girona, located a few meters from the restaurant. For information and reservations you can contact us by: telephone number (872 08 07 00), email (reserves@duplexrestaurant.es) or the contact form on this website.